Brian got on a Mr. Fix-it roll Thursday night and everyone stayed up until 10:30 making several changes to our house. First he covered all the windows and glass door to insulate us from the cold. 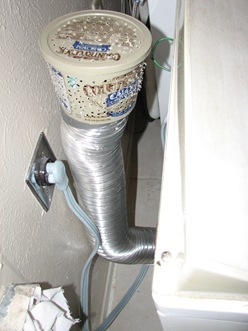 Then he finished his dryer project – this allows warm, moist air to blow back into our house. Our place is very dry (we used a humidifier all last winter) and any extra heat is welcome so we’ll see how this works – at least on laundry days. And finally, we rigged up a bunk bed of sorts for the kids. 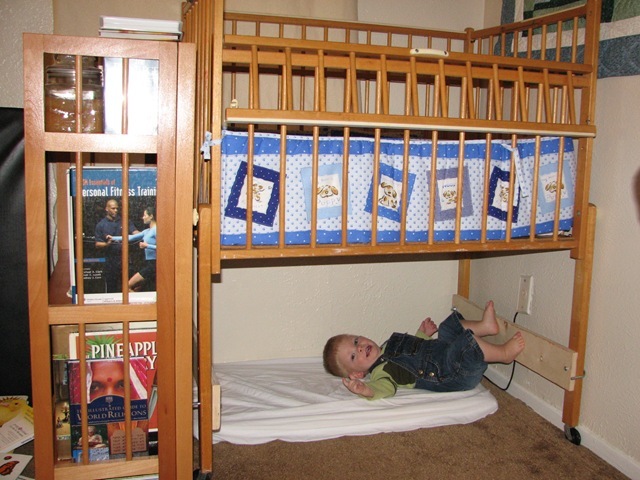 Ivy was getting too big for her bassinet so the kid’s room was overhauled once again. To get the crib up high enough for Lance to sit up underneath Brian had to add a few boards for stability. 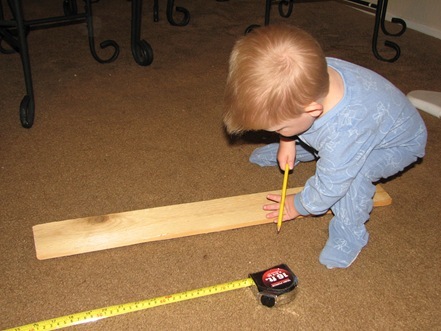 Lance loved staying up and working with dad – he measured and marked, and watched in awe as Daddy cut (mommy held his ears). Ivy was mostly cheerful about staying up late if she was being held. Both kids and parents slept in the next morning.